As more companies make the move to Google products (over 5 million and counting), more content is created with Google Docs. This is understandable as Google Docs allows people to simultaneously work on documents and see each other's edits in real time. Personally, I use Google Docs all the time to make content reviews easier and avoid attachments in email. 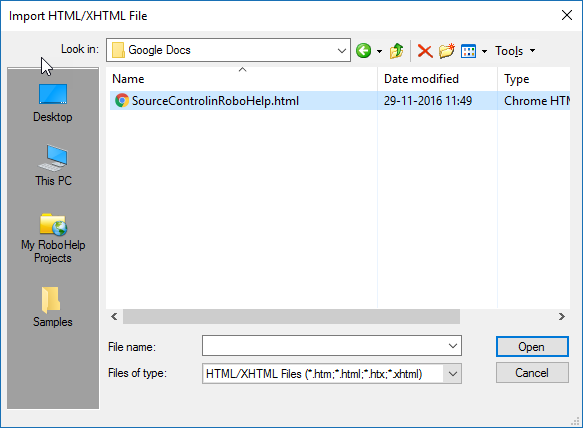 When it comes to brining Google Docs into RoboHelp, there is a single downside: The documents reside on a Google server so you cannot directly import or link them into RoboHelp like you can with other content (like Word documents). Fortunately, you can download Google Docs to your computer and then import the downloaded content into RoboHelp. Open your Google Docs document. Choose File > Download as > Web page (.html, zipped). Open the zip file and extract the file and images folder to a location of your choice. Choose Project > Import > HTML. Select the HTML file and click Open. The document is now available as a topic. Assign the correct style sheet and update the topic as you see fit. Tip: Are you planning on updating the Google Docs document? Or do you need fine control over how the document is converted to a topic? Export the Google Doc as a Word document. 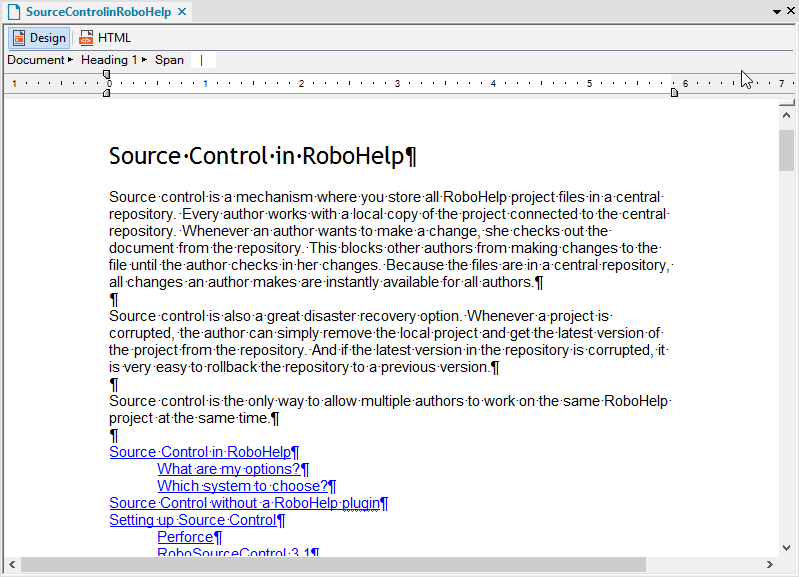 You can then leverage RoboHelp's Word integration for full formatting control. Looking to learn Adobe RoboHelp? Come join me for my live, two-day online RoboHelp class (held once each month). And if you'd like to learn more about Dynamic Filters, check out my 3-hour mini course: Adobe RoboHelp: Advanced Content Reuse.